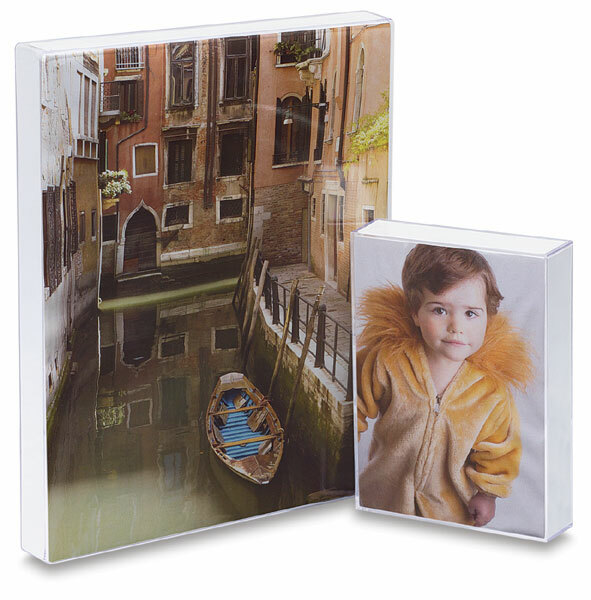 These clear, molded plastic frames have a rigid white cardboard insert to keep your artwork pressed firmly against the face and allow vertical or horizontal hanging. MCS Clear Box Frames are available in a variety of sizes and depths. The smaller size frames also include an easel back for display on a table, desk, or bookcase.